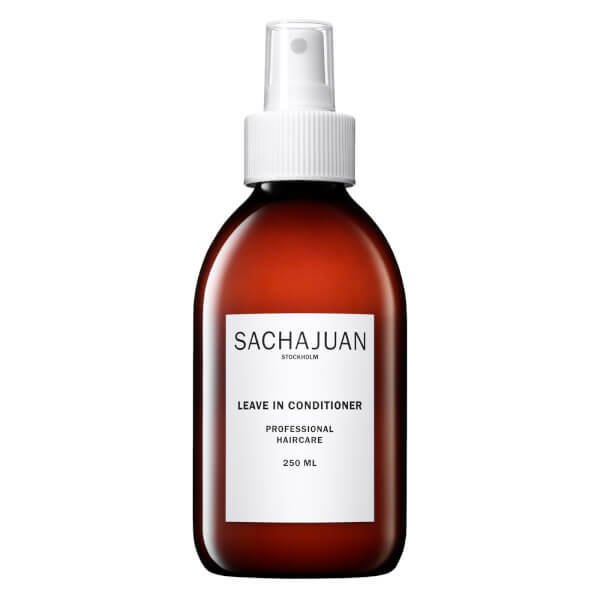 Enhance your hair's shine and strength with the Sachajuan Leave In Conditioner, a moisturising formula that works to improve manageability whilst maintaining a healthy scalp. Utilising Ocean Silk Technology to promote luscious body and shine, the lightweight conditioner delivers a veil of weightless hydration onto dry strands, expertly hydrating, softening and strengthening to leave locks glossy and silky. 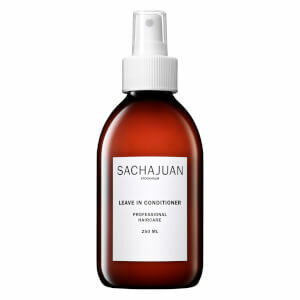 Spray onto washed and towel-dried hair. Do not rinse. Aqua(Water), Silicone Quaternium-18, Parfum, Peg-4 Rapeseedamide, Hydrolyzed Rhodophycea Extract, Trideceth-6, Trideceth-12, Phenoxyethanol, Aminomethyl Propanol, Acrylates/C10-30, Alkyl Acrylate Crosspolymer, Dimethicone, Laureth-23, Laureth-2, Methylparaben, Butylparaben, Ethylparaben, Propylparaben, Isobutylparaben, Sodium Methylparaben, Salicylic Acid, Alpha Isomethyl Ionone, Benzyl Salicylate, Butylphenyl, Methylpropional, Citronellol, Coumarin, Limonene, Eugenol, Geraniol, Hexyl Cinnamal, Linalool.